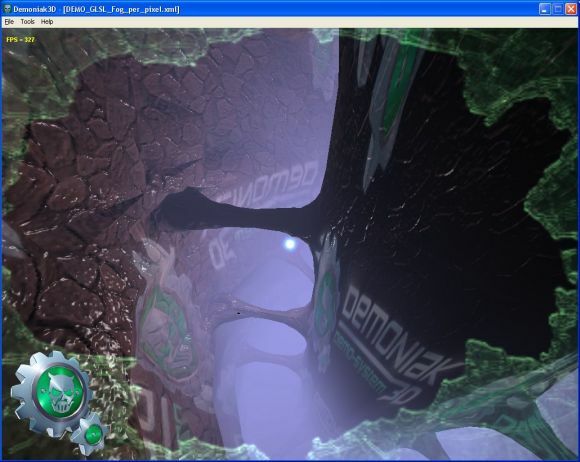 The following code is the complete shader code, used in the Demoniak3D demo. This shader shows how to add fog to a bump mapping rendered scene . In this first shader, the fog factor is computed per-vertex . The fields of this variable are initialized by OpenGL when we specify the fog's parameters . The start, end and scale fields are used with a GL_LINEAR fog type . For an exponential fog, only the density and color are used. 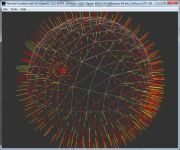 This means that gl_FogCoord is not initialized and that the distance computation, at the fixed pipeline level, is not done in each vertex but in each pixel. It's the aim of the second shader . This line permits to make a color interpolation between the fog's color (gl_Fog.color) and that of the fragment (finalColor) accordingly to the fog factor value . Page generated in 0.0034401416778564 seconds.